This is an amazing high quality Fluorite. It measures 4 inches long and 2 inches wide. With translucent sea green crystals (ice like/clear pale green), it has stunning cubic crystal structures. To be honest this piece this was an incredibly difficult piece to photo as it is so clear and the light washes out the slight pale green color. The color is best represented in the pictures which are in my hand. 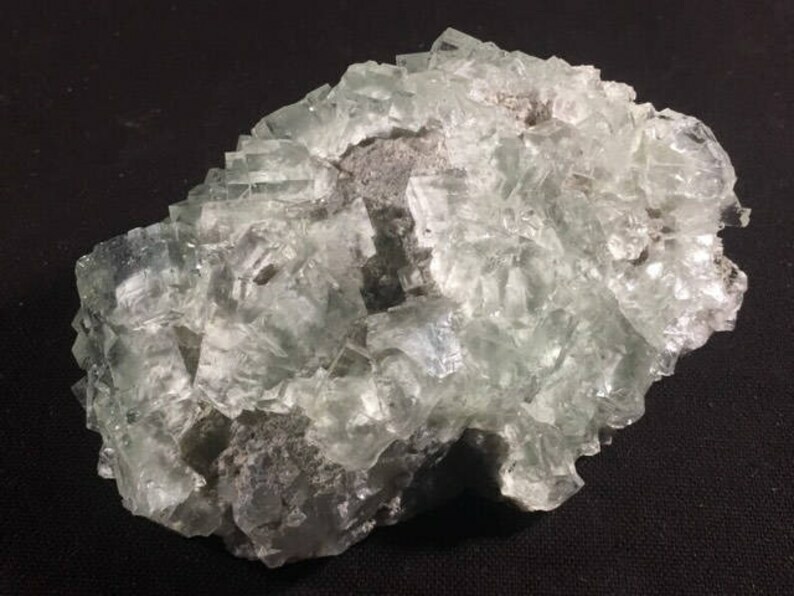 It looks like something that came out of the sea color wise but the cubic crystal structure which fluorite is known for is spectacular. This was a hand picked specimen from the Tucson Gem show.